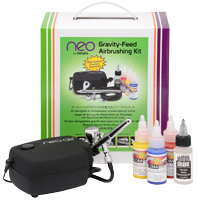 This kit includes a versatile airbrush, light-duty compressor and an adjustable air-bleed for altering the pressure. 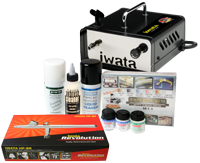 This kit is perfect for beginners or occasional users for model painting, cake decorating, art, crafts, nail art, body art or make-up. 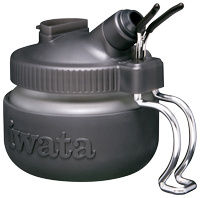 The Sparmax SP-35C has a 0.35mm nozzle, 2cc gravity cup and a pre-set handle. 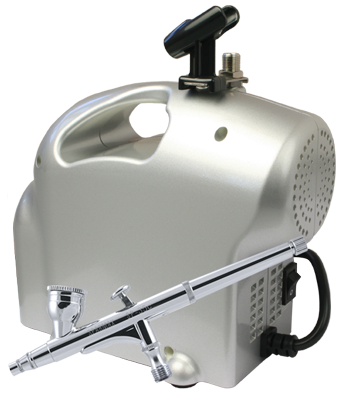 The airbrush has a 2 year warranty and you have the assurance that the SP-35C meets The Airbrush Company's good quality standards and you will benefit from access to The Airbrush Company's unrivalled technical backup service. The Baby compressor is a small, light-duty, oil-less piston compressor suitable for the occasional user where high pressure is not required. The kit comes with an adjustable bleed valve.